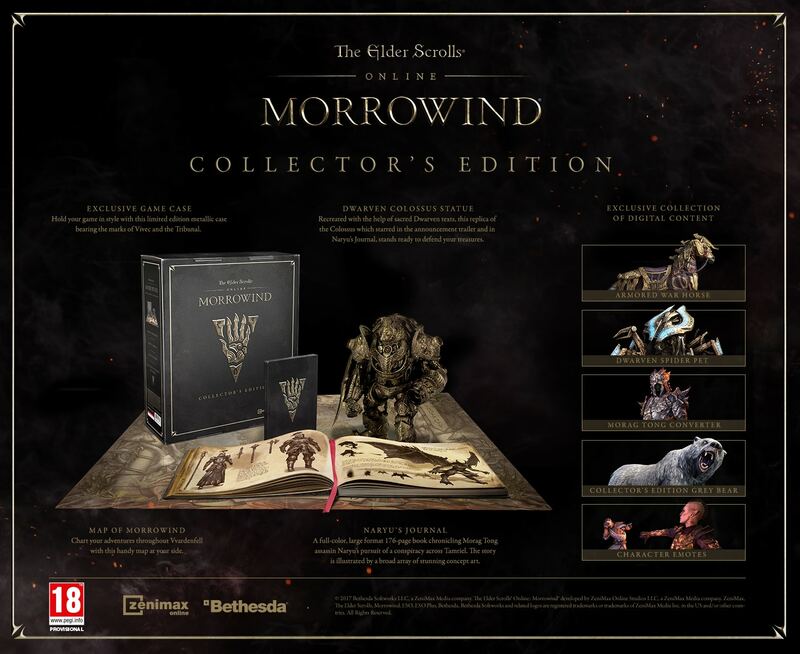 Only at GAME- physical copies of the "Elder Scrolls Online: Morrowind Collector's Edition" are only available from GAME in the UK. • Dwarven Colossus Statue – Recreated with the help of sacred Dwarven texts, this 12” tall replica of the Colossus that starred in the announcement trailer stands ready to defend treasures. • Naryu’s Journal – A full-color, large-format book chronicling Morag Tong assassin Naryu’s pursuit of a conspiracy across Tamriel. Illustrated with a broad array of concept art. • Map of Morrowind – Players can chart adventures throughout Vvardenfell with this handy map at their side. • Exclusive Game Case – A limited edition metallic case bearing the marks of Vivec and the Tribunal. • Includes The Elder Scrolls Online: Tamriel Unlimited. PLEASE NOTE: As this product surpasses the 2000g weight limit for international shipping, this item cannot be shipped outside of the UK. 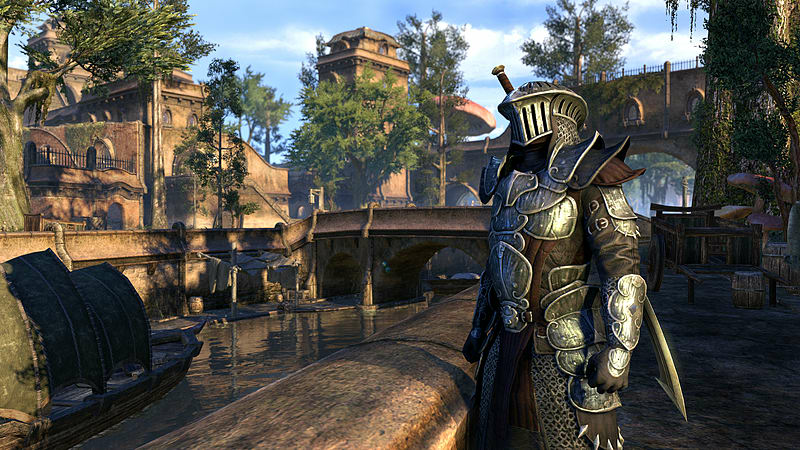 • New Players: New players can jump into The Elder Scrolls Online: Morrowind and start a new character without having to complete any previous ESO content. 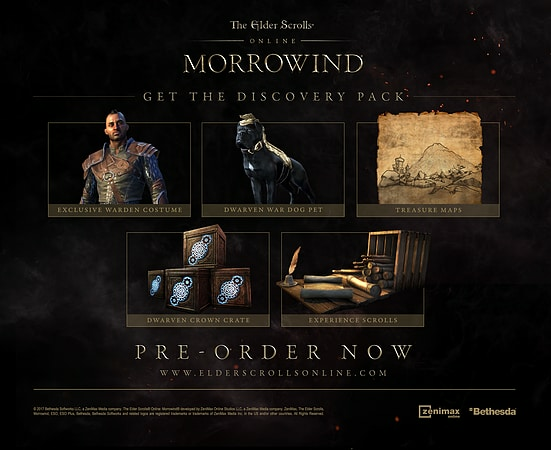 And, since the original ESO game is included with The Elder Scrolls Online: Morrowind, new players will have instant access to hundreds of hours of additional adventures throughout Tamriel. 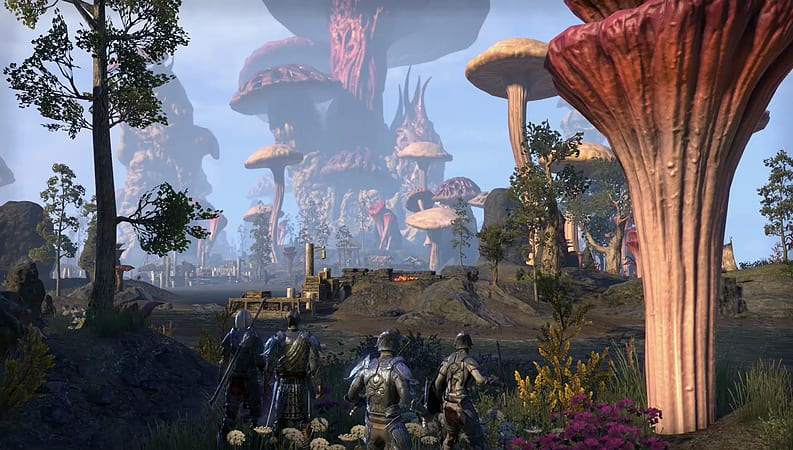 • Existing Players: ESO veterans will be able to upgrade and immediately journey to Vvardenfell to start the new epic adventure. 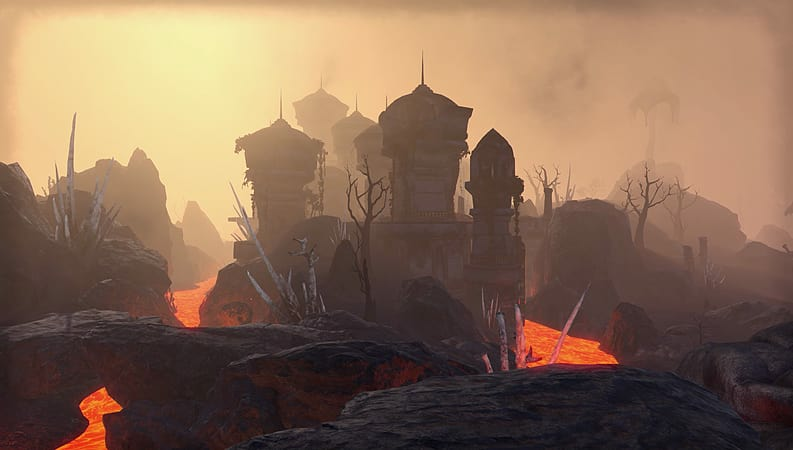 With the power of October’s One Tamriel update, existing players will find level-appropriate content from the moment they step onto the island of Vvardenfell, regardless of level. Existing players can also choose to create a new character and begin anew. • Haven’t played ESO in a while? 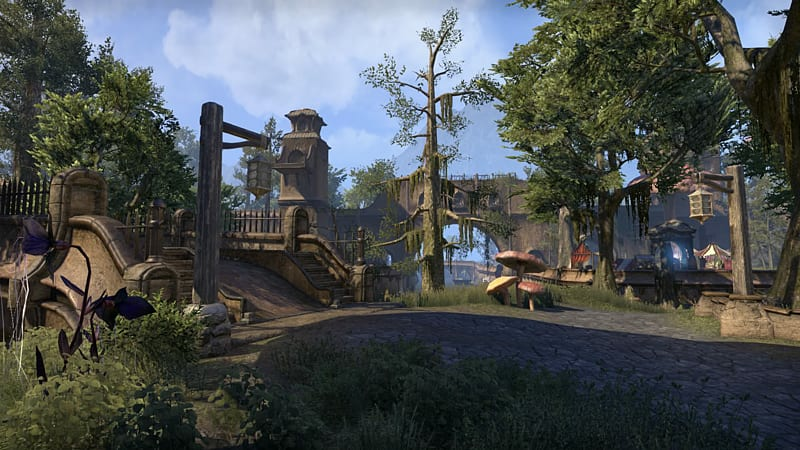 : The Elder Scrolls Online: Morrowind is a great chance to jump back in with your existing characters, or with a completely new one. Because ESO has no required subscription, you can just reinstall the game, log in, and start playing again.